We hit a point this weekend where it was so warm during the day that it carried over into dusk and made the air summer-warm. I'm sure you all know that feeling - when it's getting dark but you can still wear a t-shirt and shorts and the night feels magically endless. It makes me want a porch, some adirondack chairs and citronella candles. In lieu of the fun that comes with a yard, we decided to meander to our local bar/sandwich shop in the Hilltop district and sit in the sweltering bar with doors and windows wide open drinking IPA and sweating profusely. I'm so excited for the upcoming summer where we open our windows all day and let the breeze blow through the apartment at night. There's something nostalgic to me about the blinds blowing in a cool breeze and the feeling of the fan on my skin. I think it reminds me of summers as a kid spent with my grandparents in their hot beach house listening to the sounds of the street. Do you all have similar summer vacation memories that you're always chasing? You look very sweet and feminine, love the shirt with that particular dress! These are lovely photos, and that's such a cute outfit. I saw you work in Human Resources, me too! Such a pretty dress! I know what you mean, we had a few days like that last week and they were amazing! 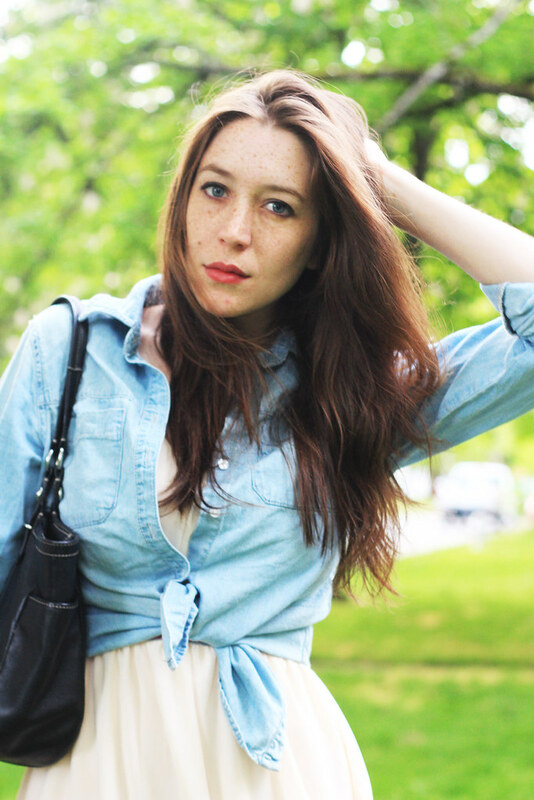 Your denim shirt looks absolutely perfect ! your look absolutely gorgeous dear! 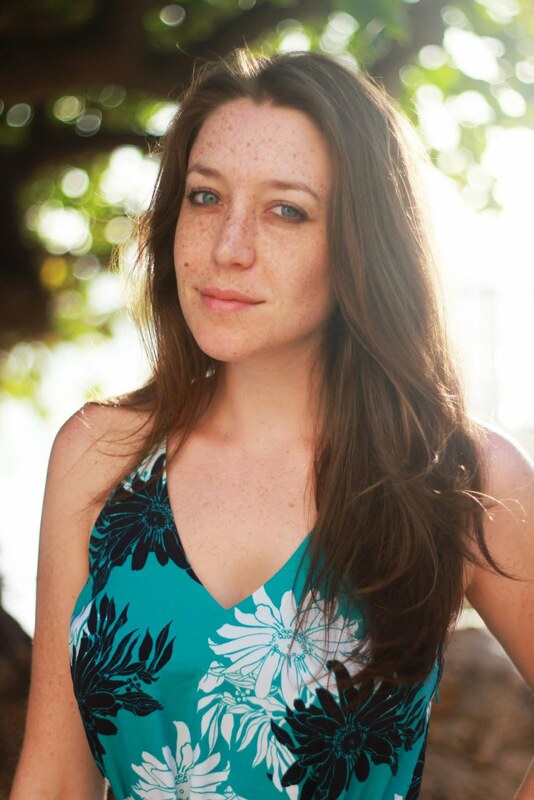 :) would you like to follow each other on GFC, facebook and bloglovin?? let me know :) happy sunday! I love your look!!! The white dress is so pretty. The denim shirt is a good choice! I like how casual the tied denim shirt is, and how you tied in the bag and sandals together! lovely outfit, you look stunning! Beautiful outfit, that dress is stunning on you. The feeling of warm sand underneath my toes, that makes me feel summery! P.S. : That outfit is perfect, I want that dress and that shirt! you look so amazing! adorable honey:) would you like to follow each other on GFC, facebook and bloglovin?? let me know :) happy week! So cute, I love the dress! I'm jealous of your warm weather, this weekend has been too cold for my liking up in Toronto! Love that dress!! Very cute pictures. 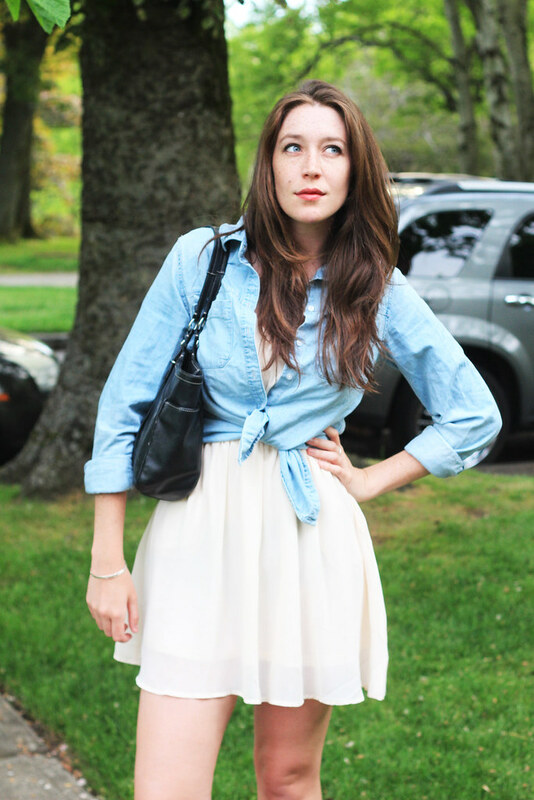 Love the chambray over that dress! I'm glad to hear the weather is getting warmer and warmer there. I really enjoye the breeze as well, especially in the morning when it is less hot and more refreshing. You look super cute in this outfit btw, I love the mix of the cream dress with a chambray shirt! This is such a girly look, we love it! Especially love that you've worn that denim shirt on top of the dress. cute girl! love the dress & the denim shirt! A simple look but very chic! Good choise! I adoreeee this skirt and chambray top together. I want to pull this off so badly, it looks amazing on you! I do love having a yard/porch for that reason - but exploring always is a favorite too! And seriously, summer can't come fast enough. that dress is so feminine & pretty! You look great!! 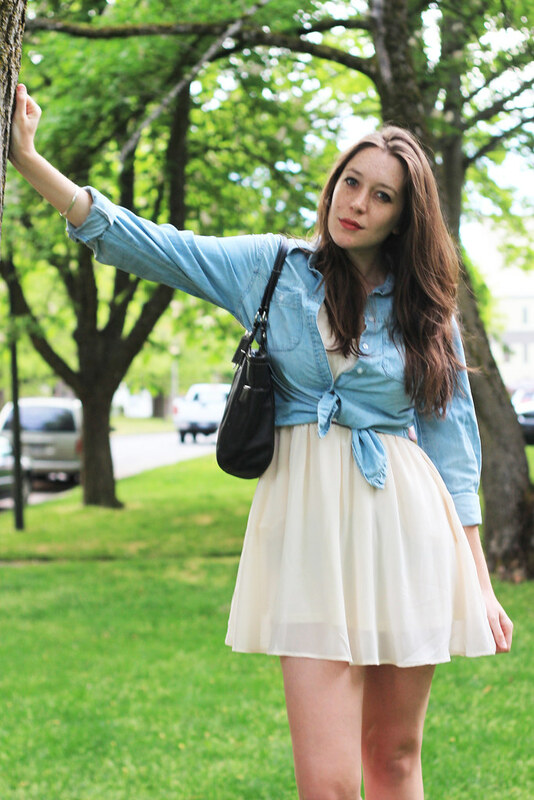 The chambray looks great tied over the dress! This is such a nice feel-good post :) Definitely makes me want to visit some childhood vacay spots again! Pretty freckles :) I love the chambray and tulle together, perfect combo! You knotted it up so cute. Love this look on you! So cute. you are super cute! i love this look! You look perfectly cute for Spring!